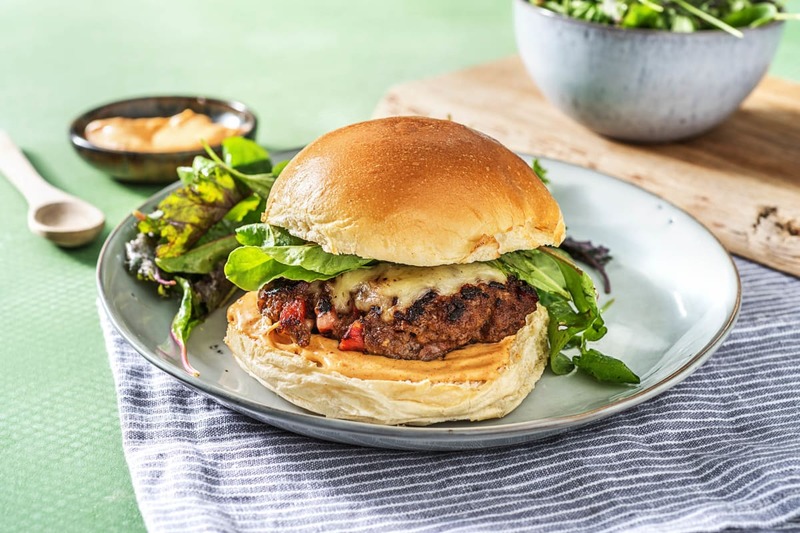 Calling all carnivores: our chefs doubled down on the meat in these hamburger patties, weaving cubes of chorizo into the ground beef. In other words, that’s meat mixed with more meat—need we say more? Well, we do have to let everyone know about the accents that give this dish some tasty, Spanish-style flair, like a smoked paprika aioli and a sherry vinegar–dressed salad. Wash and dry all produce. 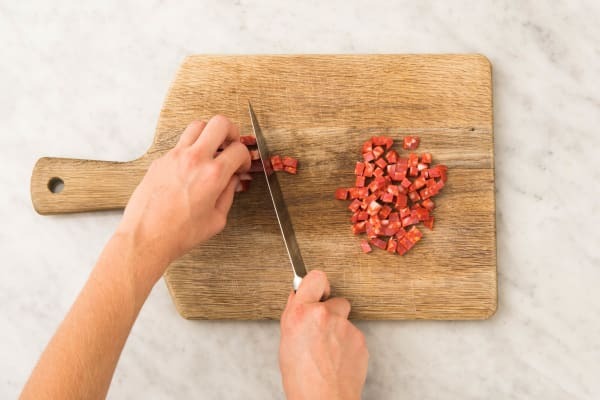 Cut chorizo into very small cubes (about ¼ inch). Place chorizo and beef in a large bowl. 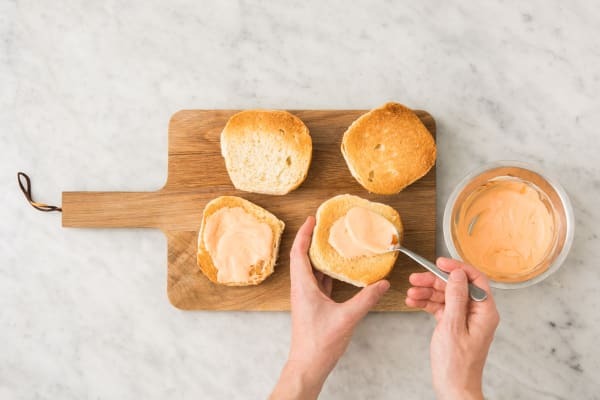 Blend together evenly with your hands, then shape into two round patties, each between ⅓ and ½ inch thick, or a little wider than the buns. Season all over with plenty of salt and pepper. Heat a large drizzle of oil in a medium pan over medium-high heat. Once hot, add patties. Cook until browned on outside and just at desired doneness on inside, 3-5 minutes per side. 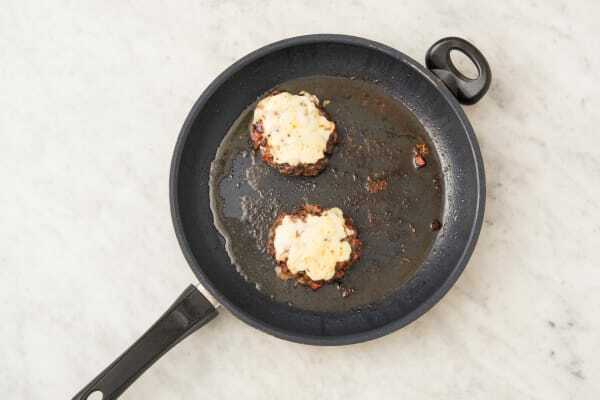 Sprinkle each patty with cheese, turn off heat, and cover pan with a lid or foil. Let cheese melt, about 2 minutes. Remove from pan; set aside on a plate. 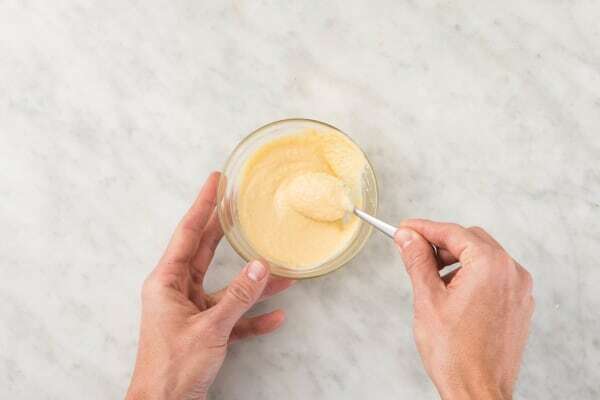 In a small bowl, stir together mayonnaise, ½ tsp smoked paprika, and 1 tsp vinegar (save the rest for the next step). Season with salt and pepper. TIP: We sent more paprika; feel free to use the extra for additional smoky flavor. 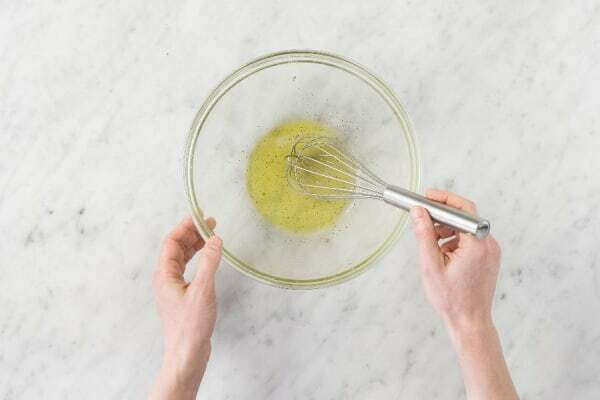 In another large bowl, use a fork or whisk to mix together remaining vinegar, a large drizzle of olive oil, and ¼ tsp sugar, making sure to dissolve sugar. Season with salt and pepper. Split buns in half. (TIP: If you have an extra moment, toast the buns in a toaster or toaster oven.) Spread aioli over cut sides. Fill with patties. Place spring mix in bowl with dressing and toss to lightly coat. Divide burgers and salad between plates, adding a little bit of salad to the burgers, if you like.